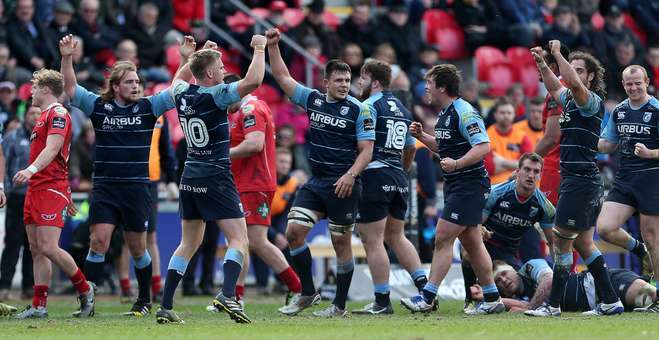 Unfortunately Saturday’s 27-40 loss to the Ospreys at the Millennium Stadium ended Cardiff Blues hopes of reaching sixth place in the Pro12 and qualifying for next season’s Champions Cup. After being just two games away from reaching the top table of European rugby it certainly comes as a disappointment to have it snatched away, but fear not, the good times are coming! Obviously after all the hype and excitement of such a big game at the climax of the season being played in front of 60,000+ next door to the Arms Park it was always going to be tough to take a loss from a big rival. However, in terms of Saturday’s game there’s no need to be down heartened by the performance. As I said in the match report I think we should be really proud of the battling display put on by the players. They put their bodies on the line in a strong defensive display and carried well while trying to play rugby on occasion. There were little defensive lapses and we struggled to properly impose our attacking game on the Ospreys which has been the key to much of our game in recent weeks, but these things will come with team and more experience of the big occasions. 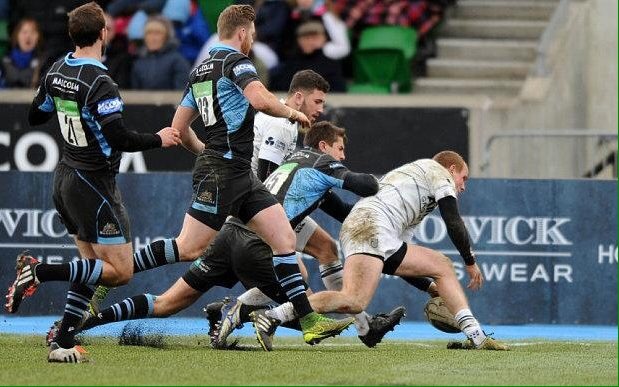 Whether you were disappointed in the performance or not though, it is impossible to deny that losing 27-40 in a tight encounter to the Ospreys is an entire World away from losing from losing 26-15 to Zebre in October. That loss was our fifth straight defeat and would form part of a seven match Pro12 losing run that left us below Newport in the table. It wasn’t until a home win over high-flying Connacht in December that the season really kick-started. From that point to now we’ve lost just three Pro12 games and risen to 8th place, just one win off 6th and a massive 26 points ahead of Newport. If we were to beat Edinburgh in the last game of the season and Ulster beat Ospreys then we would still finish 7th and be the second highest finishing Welsh club for the first time since 2009/10, having been the worst last season. It took a while for Danny Wilson to really get the side going after a few years of mediocrity but we are now looking good for the first time in probably 5/6 years. There’s a structure to our play, an obvious game plan to start with but that has tweaks specified for each opponent, a testimony to the coaches hard work at analysing teams. There’s a determination and organisation to our defence which has been seriously lacking in recent years, and a speed and simplicity to our attack which suits our backs down to the ground. The players all talk about a positive atmosphere in camp and have really brought into the coaching philosophy, something which can’t be said for Mark Hammett’s short reign. Everything is moving in the right direction, and with the young players coming through there’s scope to build for many years to come. 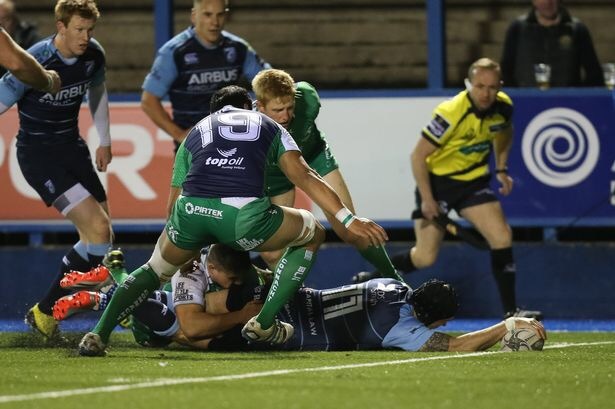 It’s a very exciting time to be a Cardiff Blues fan. So don’t get down about losing out to the Ospreys, it was all just too much too soon in the end. To even have been in with a shout of the Champions Cup after the early season results is a huge achievement. Hopefully we can bag a win away at Edinburgh to cap off the year in style, and if results go our way in Swansea it will be a real bonus, but next season is where the focus is now. We’ve set the bar high with our performances after Christmas and now we need to be strict with ourselves in reaching the highest level consistently. The thing is, I actually have confidence we can do that. Come on Cardiff!! More pictures like this next season please!